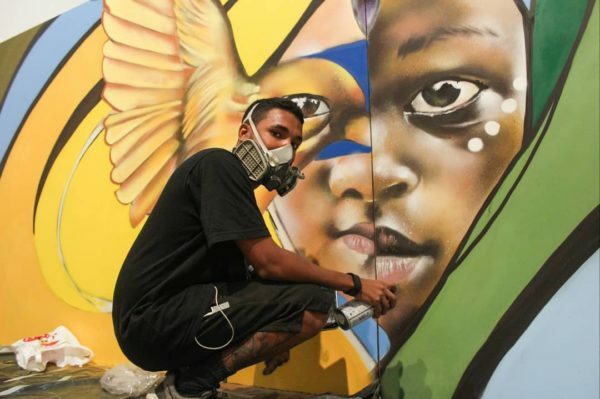 Participant of Dream Learn Work, Igor Moreno, with the artistic name IZY is exposing an art in the famous art galery CCBB owned by Banco do Brasil, in the first floor. The exhibition began on August 14th and will last until December together with the Basquiat exhibition. Congratulations Igor! We are very happy to see the development of your talent and success! 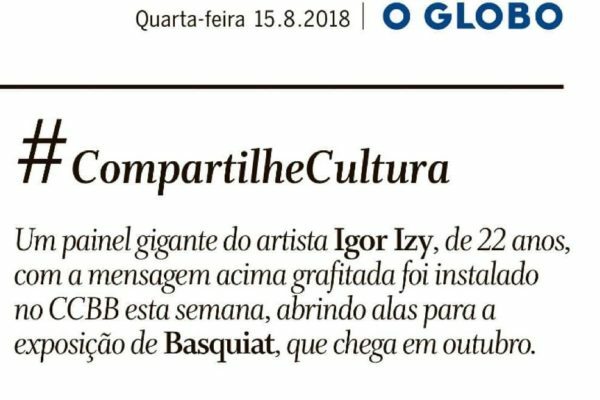 We asked Igor a bit about the art and exhibiton. 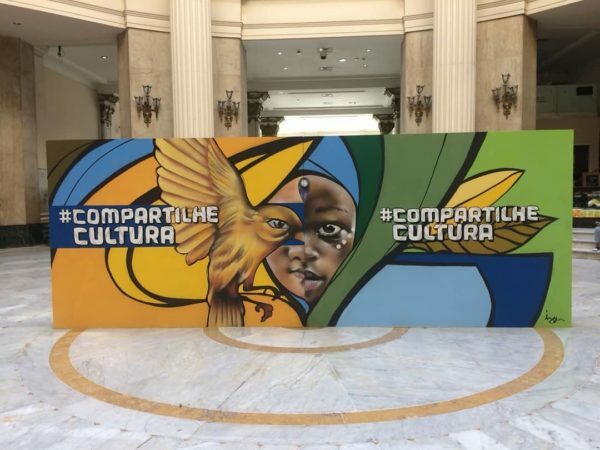 “On one side there were used some elements that represent the Brazilian culture, along with the hashtag that is the main element of the Share Culture campaign. Music and theater is our specialty. In my conception they are one of the main characteristics of our culture. On the back of the panel there are images of children of different ethnicity that takes the center stage, reinforcing the idea of equality. In my works, children are always close to the leaves, because I believe they are fruits of everything we show and teach them. I think they’re our super heroes. Coming from an NGO, having been a teacher at a municipal school and a teacher at the NGO that I once was a student, having lived all that, living all this closely, today I always want to show these children what is possible and show that they need believe in their dreams. Basquiat with all his boldness in traces, is a reference, brings me a positive vibe when I see that there is a similarity in our history. Also, having a similar background as me and reaching goals using art as artifice. 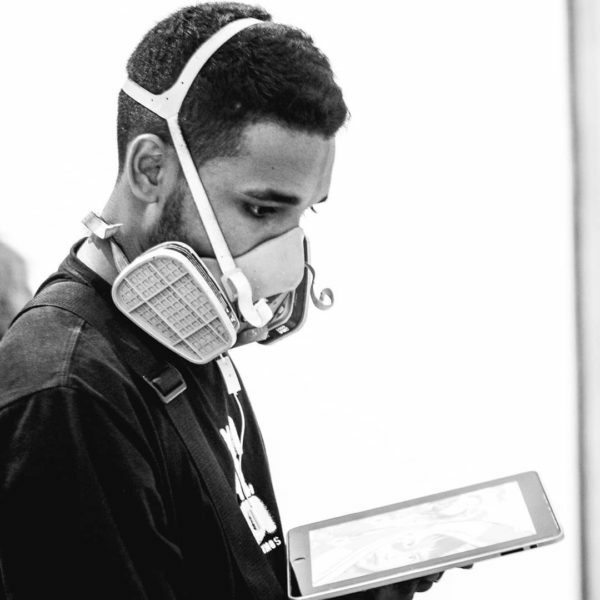 About the work: Spray was used on MDF. 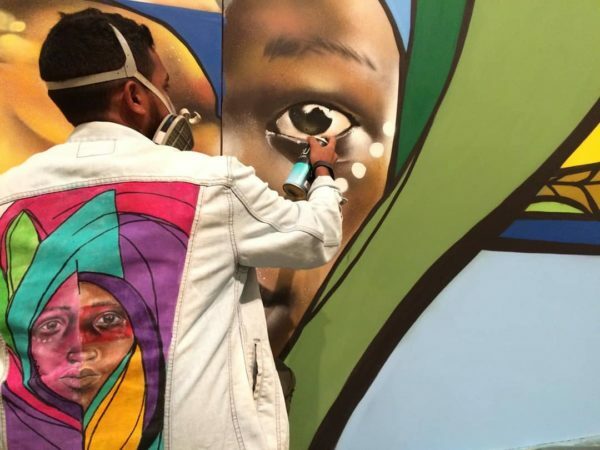 The art was done in 4 days.